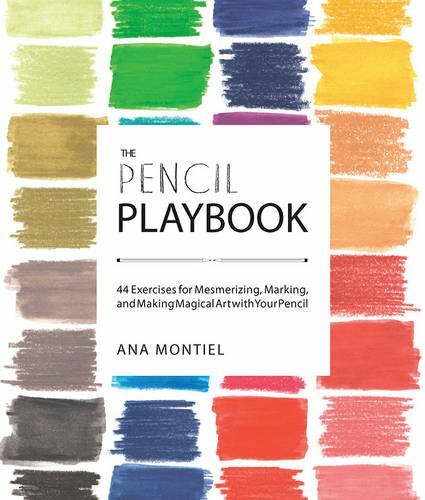 The Pencil Playbook is an activity book that invites you to play and draw with your coloured pencils through a series of exercises. Half the book contains examples of artworks you can create and the other half is actually a blank page with some instructions. The exercises are easy to follow and the results are fun to look at. You'll get to draw patterns, do simple blending, shading, line art, etc. Even the colour swatches on the cover is one of the exercises. There's none of the really technical stuff, like drawing a strawberry. The book is meant to make you loosen up, to free your creativity. The author Ana Montiel is a London-based, Spanish visual artist. Her other book is The Paintbrush Playbook.